Early insurance companies collected dues from members, used the money to pay out claims and then divided any leftover funds among the policyholders as dividends at the end of the year. When it comes to car insurance, some companies still do that. People generally compare car insurance quotes, coverages and company ratings when shopping for the best policy. It can also make sense to factor in the potential for insurance dividends, although you shouldn’t expect to get much back every year. It also may take some searching to find a company that will pay you dividends, because most insurers don’t and many of the ones that do have membership eligibility requirements. Just as a public company is owned by its stockholders, mutual insurance companies are owned by policyholders. Mutual insurers generally try to match the rates they charge to the amount they expect to pay out, plus expenses. But when they do better than expected, they may pay dividends. “Basically, the insurer is returning capital to their owners, similar to a stockholder dividend,” says Andrew Colannino, vice president at insurance data company A.M. Best. When it comes to paying dividends to car insurance policyholders, one company dwarfs all others. USAA accounted for 62% of these dividends nationwide in 2014 and more than half of the total every year since 2009, according to A.M. Best. “USAA is the biggest dividend payer for auto insurance, and there’s really only a handful of the significant players that pay them,” Colannino says. USAA itself declined to break out auto insurance dividends, saying only that it paid out $1.6 billion in dividends, distributions, rebates and rewards to members in 2014, across all its business lines. Several smaller companies paid a significant amount in dividends in 2014, given their market share. ** Includes additional companies besides the top ones listed here. Sources: A.M. Best and the National Association of Insurance Commissioners. One thing many of these companies have in common is a membership requirement, such as being a current or former military member (USAA); New Jersey government worker or employee of an organization that belongs to the state’s Business & Industry Association (New Jersey Manufacturers); or a member of the Tennessee Farm Bureau. Other insurers may occasionally pay dividends. State Farm, for instance, sells insurance through several subsidiaries, including State Farm Mutual Automobile Insurance Co. It last paid dividends of any appreciable amount in 2007, distributing $1.25 billion to mutual policyholders, thanks to better-than-expected results. But State Farm doesn’t pay dividends most years. Asked recently about dividends, a company spokesperson said it “believes competitive pricing benefits our customers, rather than building an expectation of dividend payments.” It added that it considers dividends each year, looking at such factors as financial results, business conditions and the long-term needs of customers. That $1.25 billion in dividends State Farm paid out to mutual policyholders in 2007 amounted to an average of $35 per insured vehicle. The Automobile Club of Southern California says its dividends averaged $175 to $178 in 2012 through 2014. “Per policyholder, it’s usually not a significant amount,” Colannino says. He notes that he’s a policyholder with New Jersey Manufacturers, which typically pays him a dividend of less than $100 each year. So dividends might not be a deciding factor in choosing an insurer. After all, a company that doesn’t pay dividends might charge significantly lower rates to begin with. But dividends could at least be a tiebreaker between two insurers that offer similar quotes. 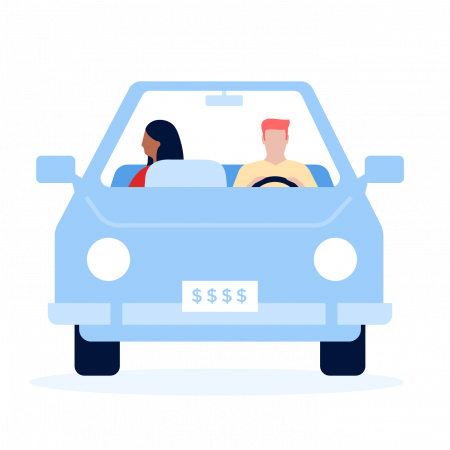 If you’re shopping for coverage, NerdWallet’s car insurance rate tool is a good place to start.